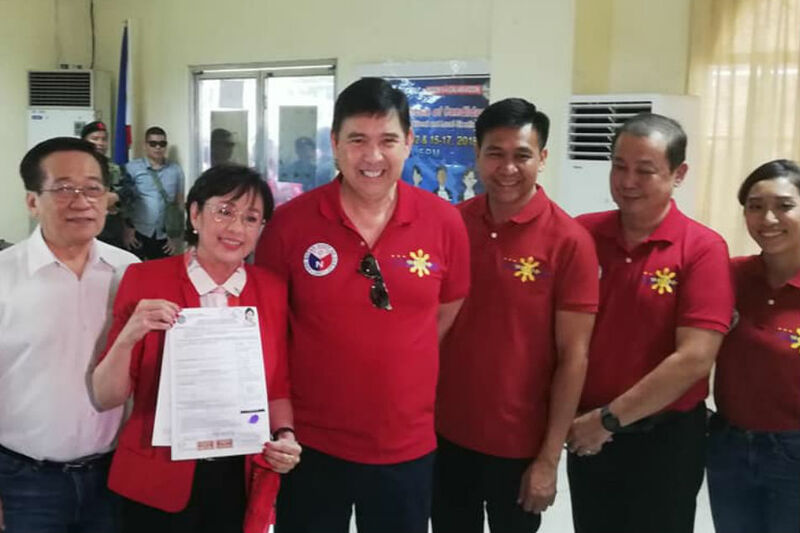 MANILA -- Lipa City Rep. Vilma Santos-Recto filed her certificate of candidacy for a second term on Thursday, seeking to solidify her family's hold on Batangas, one of the country's most vote-rich provinces. The 64-year-old movie star turned politician, who recently launched the One Batangas local party, had served as provincial governor and Lipa City mayor before joining Congress. Her husband is Senator Ralph Recto. She was the first woman to represent Lipa, with the district formed before the 2016 elections. The multi-awarded "Star for All Seasons" was last seen on the big screen in the 2016 drama "It's All About Her."